Who’s really been running W.Va. all these years? November 7, 2014 by Ken Ward Jr. Somehow it makes sense that, in the wake of Tuesday’s general election results, one of the bigger pieces of coal news in West Virginia is the filing of a new lawsuit over the 46-year-old Farmington Mine Disaster. History is a tough thing here in coal country. As the great historian John Alexander Williams has observed, the fact that our history is so painful is probably one reason it’s so poorly understood. But in understanding the election results, it’s important to try to step back and put them in context. It’s popular among the GOP’s career campaign consultants to describe this election as some huge change in power, in who runs things in West Virginia. It’s the end of more than 80 years of Democratic control, they say over and over. Of course, even if you want to focus only on the partisan aspects of this, their narrative ignores the three terms that Republican Arch Moore served as governor (at least part of the time, enriching himself in exchange for helping coal operators) and the two terms that Republican Cecil Underwood served as governor (at least part of the time, fighting against the Clinton administration’s version of the “war on coal“). 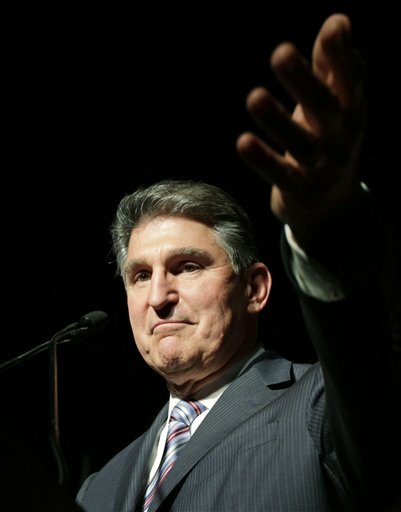 Regardless of what Sen. Joe Manchin keeps telling himself, the terrible campaigns run by West Virginia Democrats were at the heart of their electoral losses this year. But it’s not all about messaging or better television ads. It’s also about policy. There is legitimate fear about the future of coal jobs, more from market forces that don’t favor coal, but also from pollution controls that are important for both local and global health. But did Democrats outline a solution so that as jobs disappear, as they have been doing for 50 years, people are able to move into other good jobs without losing their homes? No. They ran ads just like the Republicans, suggesting that all West Virginia’s problems are the fault of President Obama and the EPA. The result? When faced with a genuine Republican and a pale imitation, people vote for the real thing, or don’t vote at all. West Virginia Democrats like Natalie Tennant refuse to talk about the mounting evidence that mountaintop removal is not only an environmental disaster, but a public health crisis. They make out like the only impediment to economic development in the southern coalfields is needing more flattened land, and ignore the problems created by huge tracts of the state’s land being owned by out-of-state interests. Even with the failure of the West Virginia Democrats to have, you know, a plan, there’s something more going on here. 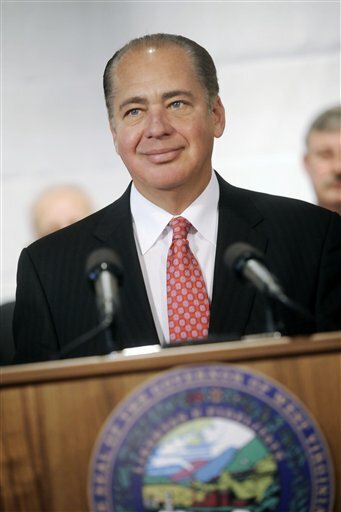 If you want to look at recent history, it’s not hard to argue that the current GOP takeover of the Legislature started in 2004, when then-Massey Energy CEO Don Blankenship financed the effort to get Democrat Warren McGraw off the state Supreme Court, giving the seat to Republican Brent Benjamin. Let’s remember what the U.S. Supreme Court had to say about that whole affair. As part of his multimillion-dollar campaign to sweep Democrats from the Legislature, Massey Energy Co. chief Don Blankenship has helped provide more than one-fourth of the funds raised by his handpicked Republican candidates, campaign finance records show. The wealthy president, chairman and CEO has spread nearly $100,000 among 60 candidates running for both the House and Senate. Following his lead, a relative handful of Blankenship associates – current and former Massey employees, suppliers and family members – have kicked in an additional $165,200 to these anointed candidates. For 15 of Blankenship’s candidates, these contributions account for at least half of their funds. It represents three-fourths or more of the money raised by six of them. But the direct contributions pale next to the statewide advertising campaign that Blankenship has bankrolled to wrest control of the 100-seat House of Delegates from the Democrats. As of Thursday, Blankenship had poured $2.03 million into his independent campaign that attacks 40 incumbent lawmakers while urging voters to support 41 GOP candidates. Validating a rumor from when Blankenship first vowed to take on legislators, this spending so far equals $50,845 for each Democrat targeted. He has devoted an average of $72,636 to each of the 28 House districts statewide he seeks to influence. That campaign was largely unsuccessful. But a small core of former Blankenship aides, including operative Greg Thomas, has continued working for a decade now toward the goal of a Republican Legislature — reached with Tuesday’s wins in the House and Wednesday’s flip of the Senate. These connections aren’t hard to make, or the recent history hard to understand — though they aren’t readily made in the state media coverage, partly because of constant staff turnover that erodes institutional memory, and partly because some in the state media aren’t that interested in connecting the dots. But to really put this in historical context, you’ve got to go back further than 2004, or even to 2000, when George W. Bush got the state’s electoral votes in the presidential race. It seems to me that one place to start is the United Mine Workers strike against A. T. Massey Coal. 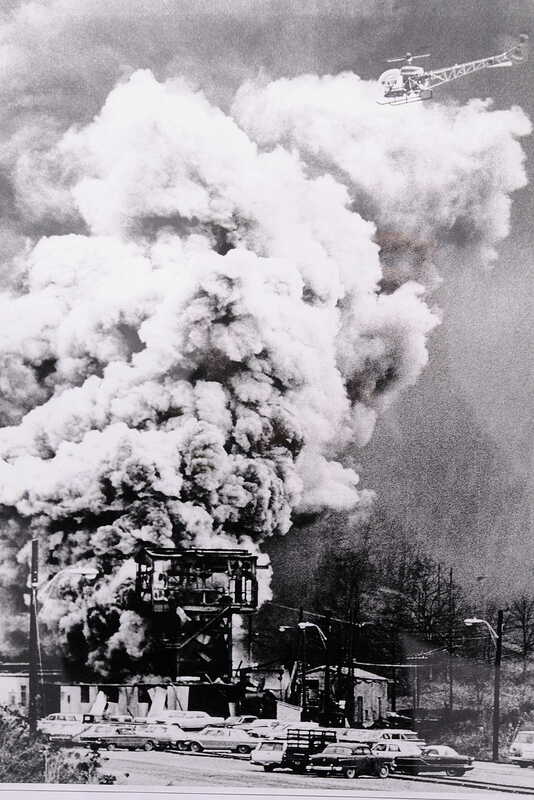 That Massey fight to break the union set the stage for the Pittston strike, and for further efforts by the industry to distance itself from the union — and to Massey’s huge growth in the Coal River Valley, to the non-union, mountaintop removal machine it became — and to a long line of mining deaths and disasters. At least so far, no one from Massey has really paid the price for the damage that was done, and the region simply hasn’t recovered. After emerging from the struggle for unionization in the 1920s, the UMWA became a major progressive voice on so many fronts — not just for better wages and decent health and safety conditions for workers, but for building better families and communities with things like medical centers, and giving those whose labor extracted Southern West Virginia’s huge natural resources their fair share of that wealth. Today, though, the union has a far smaller working membership, and a much larger share of retirees and widows, whose pensions and health-care benefits are under constant threat from the industry’s downturn. The UMWA parrots industry talking points on climate change, while offering no real answers itself to dealing with that global crisis — and not really wanting to engage in efforts to build a more diversified economy to protect coal communities for the day when the coal is eventually gone. Today’s UMWA has many critics. 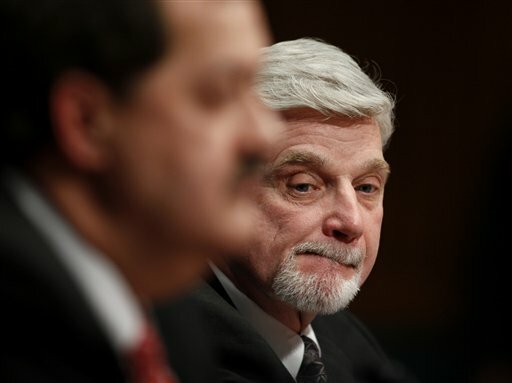 But those critics often ignore the tough realities facing union President Cecil Roberts, who has to find some way to protect those retirees, and has a solemn duty to represent his declining working membership. Politicians have made it harder and harder on unions to organize, and the industry’s demographics mean that you can’t count on every miner you urge to vote Democratic having a framed photo of John L. Lewis on the wall next to one of FDR or JFK. … Most of West Virginia’s hills and mountains overlie deposits of coal. Herein lies another theme of West Virginia history, one in which the sour notes vastly outnumber the sweet. Persons who have studied the impact of coal mining on different societies from Silesia to northern Japan have concluded that coal has been a curse upon the land that yielded it. 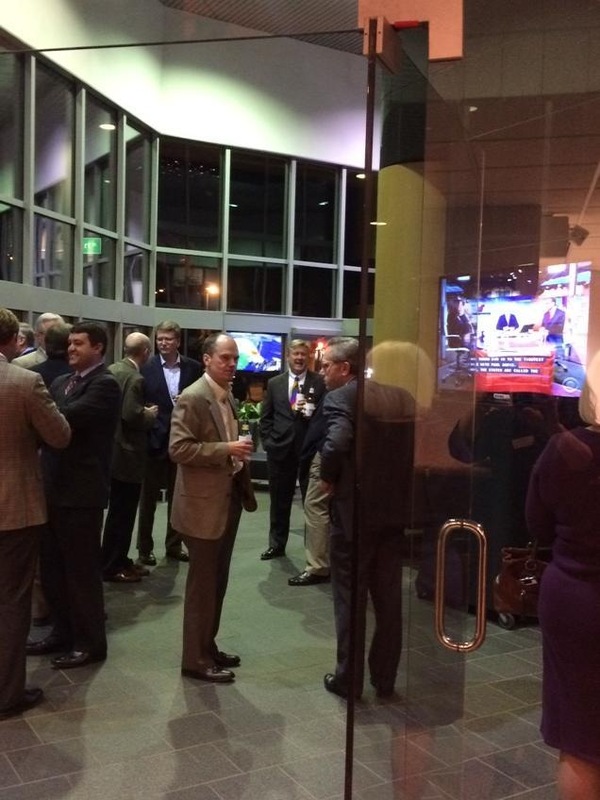 West Virginia is no exception … In its repetitive cycle of boom and bust, its savage exploitation of men and nature, in its seemingly endless series of disasters, the coal industry has brought grief and hardship to all but a small portion of the people whose lives it touched ..
Photo of the election night party at the Jackson Kelly law firm, via Twitter. There has been, of course, a tiny elite of smaller producers and middlemen who grew rich from coal exploitation although not as rich as the nonresident owners in whose shadow the local elite worked. For those West Virginians who lived at a remove from the industry, its impact has been more ambiguous. Certainly coal created opportunities that were not there in the agricultural era, but it also created new problems, especially as the owners of the industry have always tried and have usually succeeded in passing off the external or social costs of coal production to the public at large. Moreover, the industry called into being a larger population than West Virginia’s other economic resources can support so that, even after the great migration of postwar years, the position of the state is like that of an addict. West Virginia is ‘hooked’ on coal, for better or for worse. In the past, it has generally been for the worst. … The aesthetic and human values that environmental degradation subverts are difficult to measure. By contrast, the coal industry retains much of its old-time political power in West Virginia, and can readily deploy it to defend immediate and specific economic concerns. So when you hear the commentary about how this week’s election results are some sort of revolution, changing who has been in charge around here for so many years, ask yourself if what we’ve got isn’t really just more of the same. Perhaps ‘more of the same’ on coal issues, but i think if the GOP is able over the next 4 yrs to pass right-to-work, school vouchers, reinstate the death penalty, cut the safety net, drug-test SNAP beneficiaries, pass more tort reform, make abortions illegal (as much as they can), get rid of the biz personal property tax, tax payer bill of right (TABOR), Voter-ID, etc. it will be nothing short of a tiny revolution. of course, this remains to be seen. We were proud to have John Alexander Williams as a sponsor/donor for Friends of Blackwater’s June Conference on Climate Change and the Highlands, and also to help our J.R. Clifford Project talk about slavery in West Virginia’s Statehood process. I give his book that you mention to every new West Virginian I can. Thanks for sharing his too true words of wisdom, love the JKOF office party picture. Williams calls those folks “compradors” — an old Portuguese/Marxist term for natives who went over to serve the colonial masters. Thanks for the great essay. Painful history indeed. I am fortunate to have use of an old remote farmhouse in rugged Smoke Hole in Pendleton County. The rough-hewn mud-chinked logs of the original settler structure behind the interior wallboard reveals that this house has a long forgotten history of generations of the Shrieve family who eked out a living farming the steep rocky ground. Virtually all the original Smoke Hole families are gone now to fortunes elsewhere, unknown. Making a living there remains difficult – probably more difficult than most coal counties considering the depopulation the area has experienced. But nonetheless, I suspect that everybody remaining there in Pendleton and Grant County feels blessed to excess that there is no coal under their land. They would never trade their history for the history of places like Boone or Mingo County. Never. I often say that WV is like a colony, disgorging resources and profits to out of state owners, with nothing left behind but poverty and environmental destruction. In Africa it often took revolutions to replace the colonialists with local governance, but here the colonized don’t realize how they are being used, they vote for more. How can we educate voters to see that both Rs and Ds really belong to just one party – the Coal Party – the Colonizers Party? There can be no improvement of the state economy until the voters force a change. Excellent piece, I think this is dead on. Those WV exit poll numbers are really interesting. Only 22% of voters were under the age of 40? National average is 36%, according to WSJ. That’s a huge difference. I wish more in the media would take a broad and historical view – thank you. TKay notes the difference between national average of young voters and that of those here in WV. What do young voters have to vote for here? They don’t plan to work in the mines. If all the candidates, D and R, cry, “Coal, coal, coal,” why would a young person have any motivation to vote? If Dems want to be relevant, they have to offer something for that demographic. With a Republican legislature, I don’t see that happening. Man, reading this is a great reminder that journalism can be so much more than the beltway, horse-race hogwash we’ve been swilling for the past six months. Amazing how some actual history can provide a valuable context that simply quoting the message-tested soundbites from agenda-driven pundits misses! What I find striking is how much this story is similar to the story in other regions that have faced the decline of a once-dominant industry, from timber in the northwest and cotton and then textiles in the south to steel-making in the rust belt. In each case, the political and cultural power of the industry far outlived its ability to create prosperity and economic stability for the people living there. And in each case, the political changes that resulted amounted to ripples on top of a tidal wave of social and economic change. I don’t know whether you’re a holdout from a bygone era or a pioneer for a new age of better journalism, Ken, but please keep it up. Thank you for this piece. The dots are not hard to connect when people are willing to look at them. 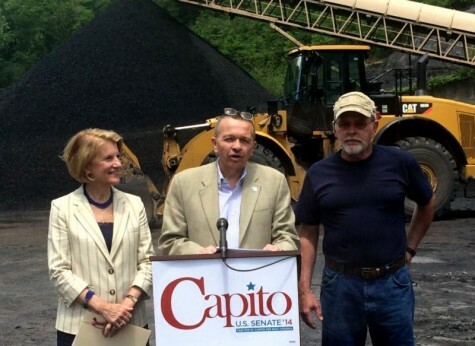 Williams is right–WV is addicted to coal, and just won’t quit it. 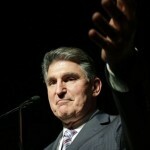 As a person who is part of the great Appalachian out-migration, I would also echo the point that many others have made for well over half a century–coal is no the most valuable export from West Virginia is not coal; the most valuable export are people like myself who have no place in the colonial economy and who now contribute our talents and abilities to other places where those talents and abilities are valued. WV’s history is painful. Almost a century ago, he great Mother Jones observed, “There is no peace in West Virginia because there is no justice in West Virginia.” There is no justice in West Virginia because the “friends of coal” are not friends of coal miners and view people as obstacles to their self-centered greed and destruction of both the social and natural world. The power exerted by energy companies on the WV economy is long, in terms of both time and distance. A couple of years ago, I attended a German solar conference, here in Berlin. Visiting US presenters were doing powerpoint shows to get “green” German companies – including solar and wind companies – to come and do business in the US. One California law firm rep, however, did a presentation on the US “business climate,” zeroing in on a few individual states. Yup: There was a slide in his presentation basically identifying West Virginia as a “no-go” zone. This was likely a message developed by embittered coal industry lobbyists who, back in the old days, didn’t always win their anti-union, anti-health arguments in WV courts. The irony is this: The lawyer’s social democratic audience would likely be appalled at the reasons for his little anti-WV campaign. Unlike their bad-old days, today’s Germans don’t seem to have much problem with union participation in company decisions and strong protections for worker safety and health…. Great article…terrific job of putting current WV news (and politics) in a historical context. Planning to get ahold of that John A. Williams book first thing Monday morning. Comparing West Virginia to colonial States in Africa is a little out there. A friend of mine who holds a doctorate from U.K. And who happens to be from the Congo, made this observation. In the Congo, there are unlimited natural resources, rich soil, minerals and water. Yet local farmers can’t raise crops and sell them one county over, because they speak a different dialect and will be killed. In America one can drive all the way to California without this kind of fear, he explained. The problem with West Virginia is West Virginian’s themselves. They are what’s holding West Virginia back. Excellent and well-written article. Sad that so many voters in our state aren’t aware of what the Republican Party has actually done…only want to point out the evils of the Democratic Party. Thanks for all the invaluable information. 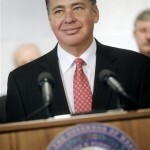 Chuck Wood, I thing the voters did force a change last Tuesday. A bit late to the party, but thank you, Ken, for a great article. I knew Blankenship bought himself a Supreme Court justice, but I didn’t know the rest. My family has lived in what is now West Virginia since before the Revolution, and not a one of them has worked in the coal industry. So it drives me nuts when people claim WV is coal and coal is WV. No, it’s not. Excellent article. As usual Ken Ward digs deep for telling the story, supportive facts and information. If you voted in WV or didn’t vote…its important to understand the ugly politics of WV and King Coal and the fear they manufacture. I like to see “Coal Tattoo Blog shared and critically discussed across the WV school curriculum. Thanks for your kind words Frank.